Italy’s Azimut Yachts says it sold 15 yachts valued at around US$50m at the Ft Lauderdale International Boat Show (FLIBS) last month, cementing its position as the “leading foreign shipyard in the United States”, the company claims. Azimut’s success in the US market is down in part to the brand’s sophisticated design and technological innovation, as well as the company’s ability to offer “outstanding local reach and a five-star aftersales assistance service”. America is now the Azimut brand’s main market, representing 38% of the total value of production – thanks to its successful partnership with US dealership Marine Max. 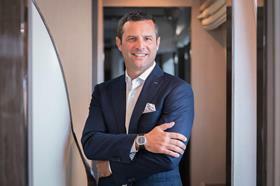 “The good health of Azimut Yachts in America is also underscored by the rise in the number of visits to the stand – up 20% on last year – not only by people from the US, but also from Canada and South America,” says Federico Ferrante, president of Azimut Benetti USA. Florida is the region with the best sales figures, he says, followed by the Northeast and Midwest. The lines best loved by US owners are the Flybridge Collection and then the Grande Collection, of which a 27m model was sold at Ft Lauderdale – the bigger sister to the 25m yacht that made its American debut at FLIBS. Ferrante says that Azimut and Marine Max will continue to increase the brand’s presence at the country’s main boat shows and implement a multi-faceted programme of events to strengthen owners’ sense of belonging to the Azimut Yachts community and to win over new owners.